I would like to express my heartfelt congratulations to you on this momentous occasion as a Senior Committee member of WEC Groups. 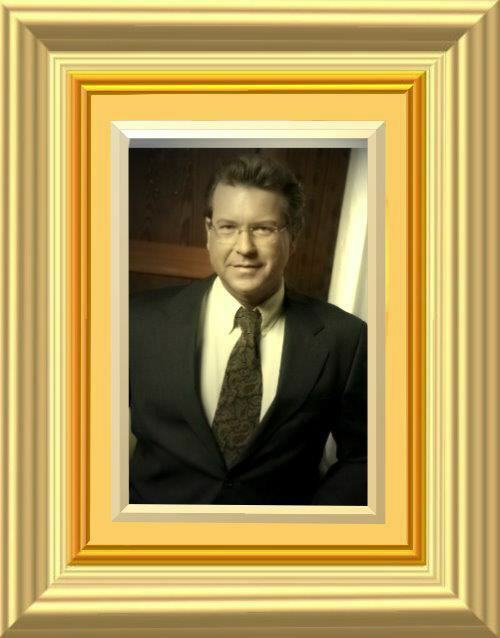 It is an honor for me to work and be affiliated with you of such great collaboration and your affiliated associates. Our continuous has provided hope for thousands of members around the world and continues to be an open door to thousands more. Congratulations on this well-deserved honor to you. All the best and all your future endeavors with great success and prosperity. 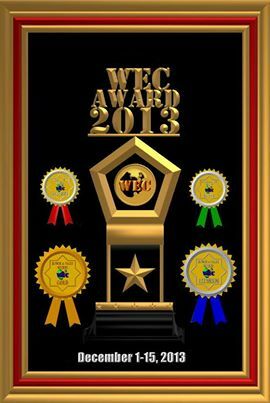 Honored Members Exclusive 4th WEC Annual Awards 2012 in Film & Entertainment Industry. In conjunction of our 4th WEC annual awards, we had listed the nominee's of WEC Groups 2012 awarded officially by 15 November- 7 December 2012! making a positive contribution in the communities where we gain business opportunity, referral providing and communicate a great network environment for our members. Throughout our 4th years history, we have been committed to social responsibility and networking tremendously. Today, with the strength of our team in the Facebook, WEC Groups has an opportunity to lead by WEC senior, committee team & officer professionally towards our goal! Our responsibility starts with being accountable non-profitable organization, our community members communicating openly in our privacy group and club. 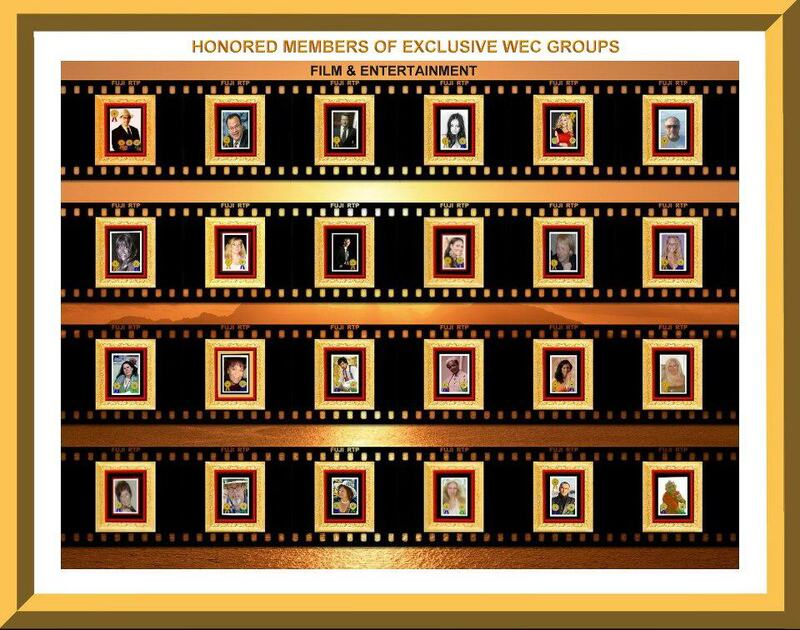 WEC presents a member consider the award one of the highest honors for our members, in recognition of significant dedication, special contributions and valuable service to WEC club and group. Awards program is designed to recognize those professionals members who have made outstanding contributions to the club and group. WEC Groups recognizes to members with excellent, long standing & professionally support to the group and deserved recipient of Honorary Member. 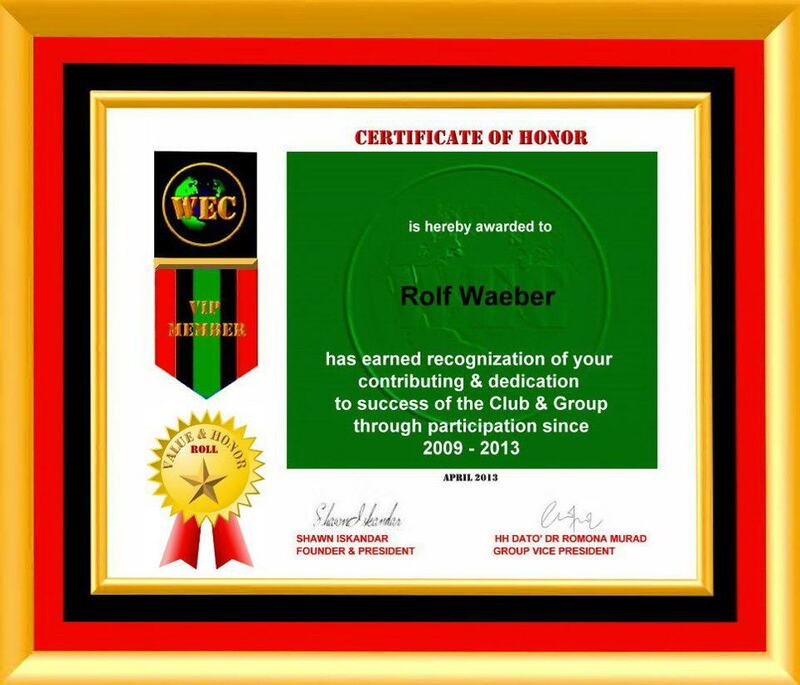 On behalf of WEC Groups, I would thus like to express my gratitude and appreciation to you Rolf Waeber for your commitment & professionally dedicated to the Group for the 5 years of excellent long standing with us.